Posted September 22, 2015 by eventreb & filed under Branding, Event Design, Event Marketing, Event Networking, Event Rebels Blog, Meetings, Travel, Venues. 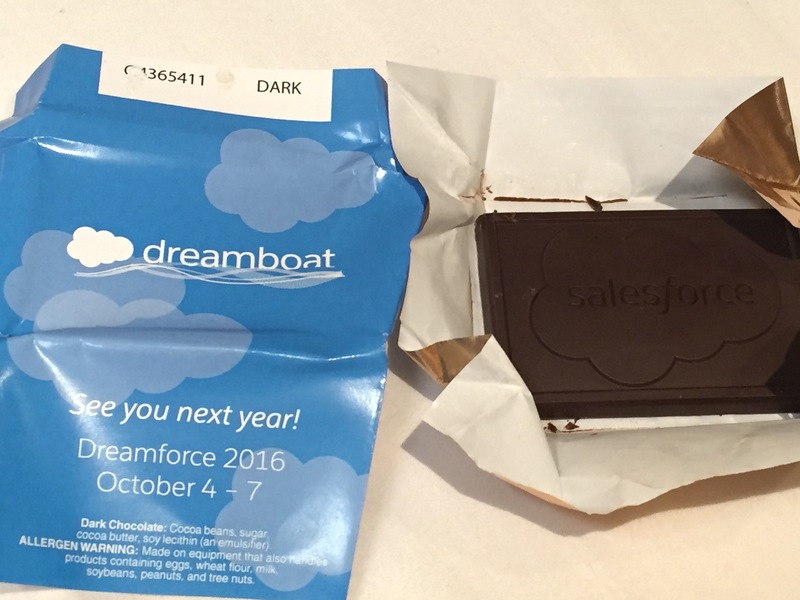 The Dreamboat may not have been the Love Boat, but Dreamforce definitely tried to have something for everyone! 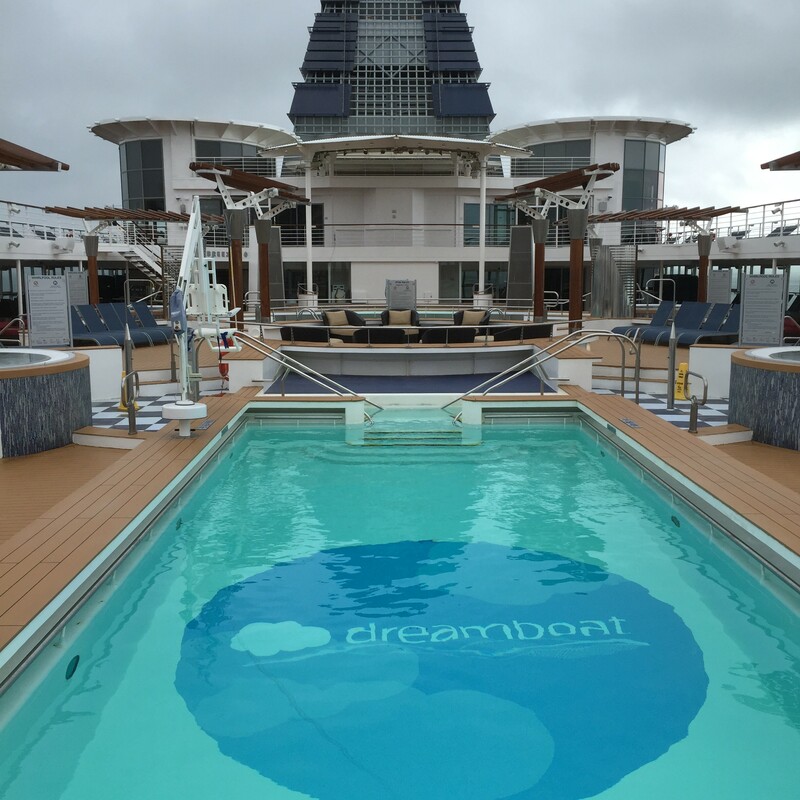 For the first time in Dreamforce’s 13 year existence, the 170,000 person conference chartered a Celebrity Cruises ship to provide lodging to 1,100 conference attendees. This is not the first time a conference has chartered a ship as a “floating hotel”, but it is probably the most mainstream example of lodging alternatives, even being featured on Forbes.com. 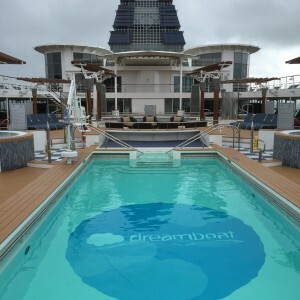 In a time where conference attendees are searching for alternatives to the traditional room block, such as airbnb, Dreamforce’s Dreamboat offered a one-of-a-kind experience. 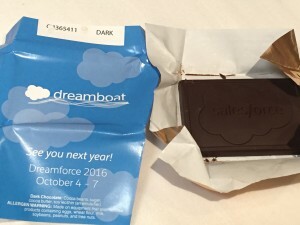 For those attendees looking to be fully immersed in the Dreamforce experience from the time they wake up until the time they go to bed, the Dreamboat was essentially an extension of the expo floor. Salesforce marketing and decor was extremely visible, even in the pool! On day 1, the Dreamboat really did try to recreate the cruise experience. 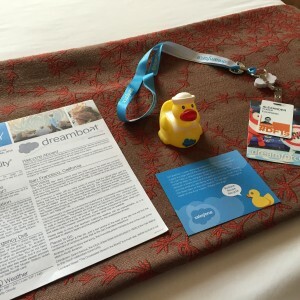 From a step and repeat, to blue cocktails as you boarded, to a Salesforce branded Rubber Ducky on your bed, it felt like something special. That evening there was a happy hour reception on the pool deck for attendees staying on the ship. That was the first and last time I’d spend any significant amount of time on the ship. 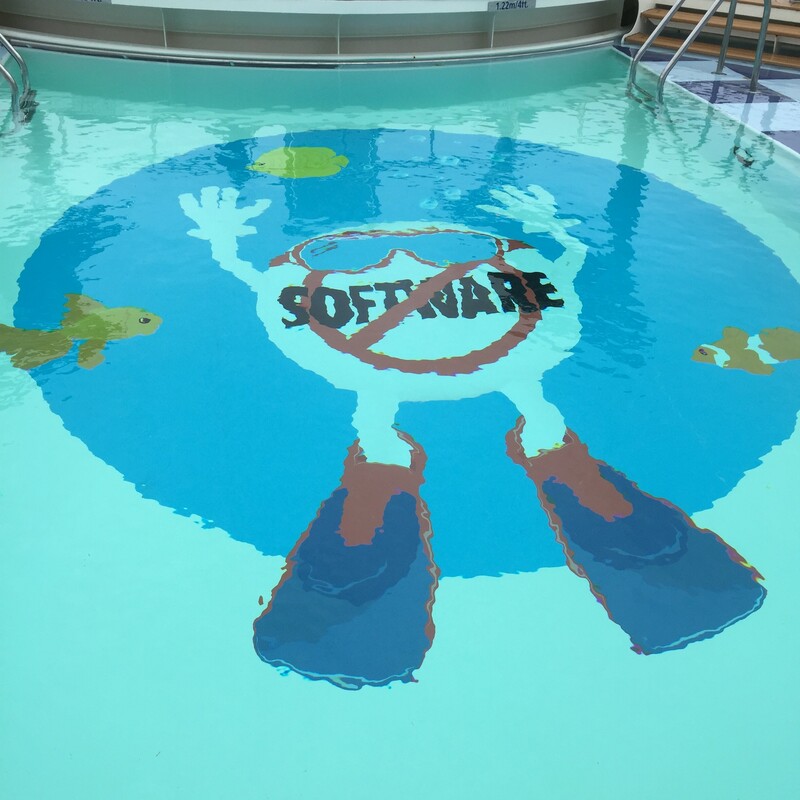 By Day 2, the first official day of Dreamforce, the novelty of staying on a ship began to wear off. Most of my time was spent off the ship downtown at Moscone. I didn’t return to the ship until late that evening. Guests were allowed on the ship, which was a great opportunity to show off the boat to your friends and any new connections. However, much like Cinderalla, when the clock struck 1 am, all guests had to be off the ship. It was kind of like staying in a college dormitory, not a cruise ship that cost $250-$850 a night. When you consider the fact that conference attendees staying on the ship had to show their room key no fewer than 4 times before getting on the ship, going through a metal detector, having your key scanned, and then having a gentleman with a canteen full of sanitizer squirt a puddle into your hand, the dormitory comparison becomes even more clear. In addition to the extreme security factor, the lack of traditional cruise ship amenities, such as an inclusive meal plan or an operating casino, really made the experience less of a cruise ship experience and more of a floating hotel experience. So, let’s critique the experience as if it were a hotel. I stayed in an exterior cabin, so I did have a window, but I was on the lowest deck. I was fortunate enough to be staying bayside, with a beautiful view of the Bay Bridge, and a natural alarm clock with the sunrising over the bay. I did hear some complaints from those staying port side on the same level, with a less than beautiful view of the dock workers every morning. We can’t forget the interior cabins with no view at all, but they knew what they were paying for. The rooms were small, with the coffee table up against the armchair so you had enough room to walk by. Even though the beds were large enough for two, literally two twin beds pushed together creating a less than comfortable crevice, I can’t imagine sharing the space with another person. The rooms did get cleaned twice daily, with turn down service, which was certainly welcome after a long day at Dreamforce. The tight space and spotty wifi made it difficult to get any late night or early morning work done from your room. Also, there was only one power outlet in each room. If you’re one of those people who can never manage to travel without wrinkling your clothes, don’t count on an iron in your room. No irons or steamers are allowed on the Dreamboat, however full dry cleaning service was available for a fee. The staff of the Dreamboat was one of the highlights. By the beginning of day 3 it became clear that the staff would remain consistent. Everybody from the friendly security pal Thomas, to our shuttle team who always kept us in the know, to our housekeeping staff who always greeted us with a friendly hello as we walked down the hall. Every day there was alternative entertainment to the cattle calls of the typical Dreamforce parties. From live music in the lounges to DJs spinning in the clubs, there was a little something for everyone. For those attendees not interested in long lines at Keynotes, the ship’s theater streamed every keynote live. The Dreamboat provided attendees with a unique experience they could not get at any of the other hotels. For those attendees not staying on the Dreamboat, there seemed to be VIP parties on board every night. And anytime I mentioned staying on the Dreamboat, there was always an attendee nearby who would want to know more. For those attendees who’ve never had the opportunity to cruise before, it was exactly the type of marketing Celebrity was probably hoping for. Just a taste of the cruise life, while never leaving the city. For those of you feeling a bit of FOMO, don’t worry, my little birds tell me the Dreamboat will be back next year!